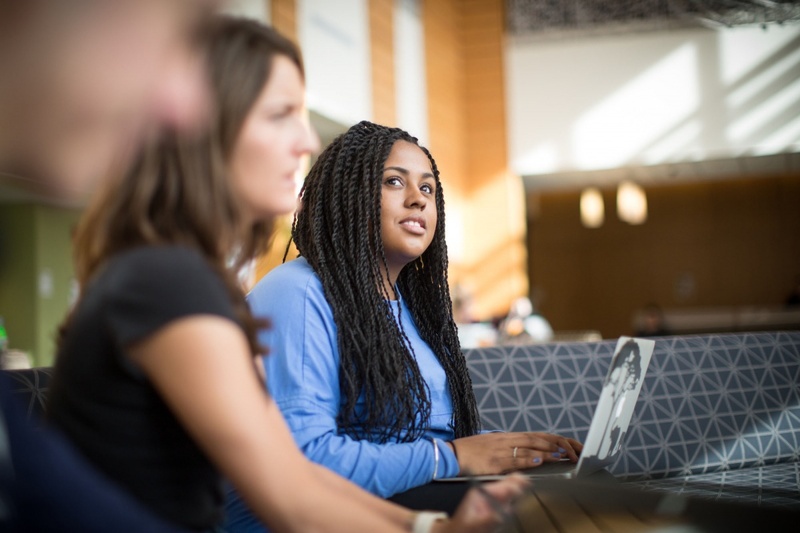 Bloomberg Businessweek released its 2016 rankings of the best undergraduate business schools in the U.S., and the University of New Hampshire’s Peter T. Paul College of Business and Economics has been named among the top 100. Overall, Paul College ranked 57 among business schools in student satisfaction. Paul College placed 81 among all ranked business schools and 38 among public universities. 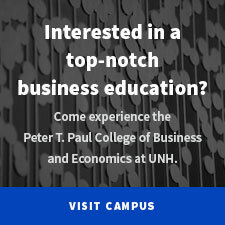 It is the only business school ranked from New Hampshire. Bloomberg this year updated how it ranks undergraduate programs to put a bigger focus on “the outcome most students want from B-School: the brightest possible career path.” It collected data from nearly 30,000 students and recruiters at close to 600 companies. Rankings were based on feedback from recruiters on how well schools prepared students for jobs at their companies; students' ratings of their campus, career services department, and faculty and administrators; the base compensation of students who had jobs lined up; and the percentage of a school’s graduates who had at least one internship at any time during college. A significant way to make connections and gain experience is through internships, and 92 percent of Paul College students complete one, with 40 percent of these leading to employment. Moreover 96 percent of graduates seeking employment have jobs six months after graduation; 88 percent directly related to their major. Paul College has increasingly become the school of choice for students in New Hampshire and the Northeast. Over the past five years undergraduate enrollment has increased by 37 percent from 1,878 to 2,572 students. The number of degrees granted also grew from 408 to 567, a 39 percent increase. "My experience at Paul College blew my expectations out of the water." Justin Lappin, who was one of the first recipients of the Internship Opportunity Fund, completed an internship as an equity research summer analyst at SunTrust Robinson Humphrey in Atlanta and has been hired there upon graduation in May as an investment banking analyst. For more on the rankings, see Bloomberg’s website: http://www.bloomberg.com/features/2016-best-undergrad-business-schools.